Enjoy a 90-minute adaptation of one of Shakespeare’s most famous plays, presented by our professional actors and directed by our Artistic/Executive Director, Carmen Khan. This is a fresh and muscular production with a new sound score and an exciting visual palette, that reveals the journey of the most famous character in drama. Hamlet is the most studied, most performed and most adapted of Shakespeare’s plays by far, possibly of any play ever. There are many explanations for the centuries of popularity, but in the end it comes down to the fact that Shakespeare managed to somehow pack all the ambiguity, complexity and messiness of real life into a story, without losing the narrative structure and focus a story requires. The play deals in grand, universal themes: coping with loss and betrayal, the need to know the truth, the complexity of human desire, the parent-child relationship — and it examines those themes in human sized form. Hosted in partnership with The Free Library of Philadelphia, the production will be followed by a post-performance discussion about why Hamlet matters and why we should continue to share the play with younger generations. The Philadelphia Shakespeare Theatre designed this 90-minute professional production of Hamlet to tour schools, universities, and community centers. Following a successful school tour run, The Philadelphia Shakespeare Theatre is excited to present Hamlet for one night only at The Free Library of Philadelphia. Click Here to Meet the Director & Cast! 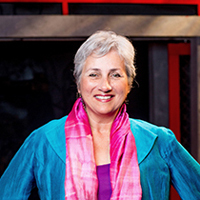 Carmen Khan is the Founder and Artistic/Executive Director of The Philadelphia Shakespeare Theatre. 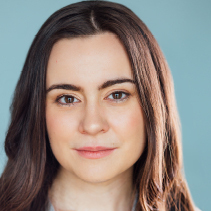 Carmen holds a Bachelor of Education from The University of London, and an MFA in Acting from The Catholic University of America. For seven years she was a company member of the esteemed Hip Pocket Theatre in Fort Worth, TX, where she worked as an actor, dancer, and mime in over 26 productions. Khan was the co-founder of The Laughing Stock Theatre, an all-comedy theatre, and Artistic Director of The Red Heel Theatre, which was devoted to the little-known classics of the Jacobean era, both in Philadelphia. She has produced over fifty Shakespeare plays and directed over twenty. Kyle earned his MA from Villanova University, and his BFA from the University of the Arts in Philadelphia. Previous roles include: Dream Girl (Clark Redfield); Macbeth (Macduff); The Roses in June (Colin Davies); The Lyons (Curtis); A Streetcar Named Desire (Stanley); Translations (Doalty); A Wonderful Noise (Chester, Pettigrew, and the Conductor); Macbeth (Macbeth); The Threepenny Opera (Smith); Michael and Edie (Ben); Big Love (Constantine); Fallen Angels (Willie); Shanley’s Doubt (Father Flynn); The Mousetrap (Sergeant Trotter u/s). Fight Choreography credits include: Romeo and Juliet, West Side Story, Macbeth, Beauty and the Beast, Crazy For You, Oklahoma, and others. 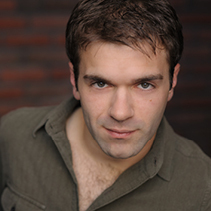 Josh has appeared in numerous productions with The Philadelphia Shakespeare Theatre, including: Hamlet, Twelfth Night, Macbeth, A Midsummer Night’s Dream, Taming of the Shrew, and Love’s Labor’s Lost, as well as its Macbeth and Hamlet school touring productions. 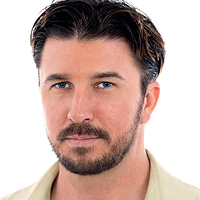 He also works as a Fight Director in the Philadelphia area, and has done combat and stunts for numerous productions including the Pennsylvania Renaissance Faire. 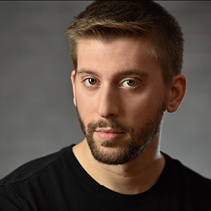 Josh also works as a Teaching Artist, instructing students in the Philadelphia area in Text Interpretation, Performance, and Stage Combat. He is a graduate from Temple University’s BA Theatre program. As a young theatre apprentice in western North Carolina, Adam first stumbled into the role of Hamlet ten years ago as a last minute replacement for a more seasoned professional. Apart from being his debut Shakespearean role, it was one of the most rewarding and memorable of his career. Now a decade later, he is as humbled, honored, and exhilarated to explore the role again as he was back then. 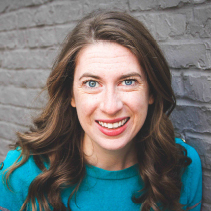 NYC Credits include: Oresteia (Classic Stage Company/Ashes Company), Essential Theatre Group’s Twelfth Night: A Folk Musical (The Sheen Center), The Cherry Orchard (Columbia Stages), and Camino Real (The Connelly). 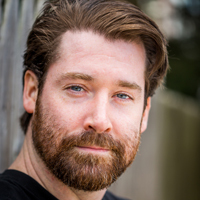 Regionally he has worked with The Philadelphia Shakespeare Theatre (Twelfth Night / Macbeth), Creede Repertory Theatre in Colorado, Triad Stage in North Carolina, as well as the North Carolina Stage Company (As You Like It). When not exploring his love of myth and storytelling on stage, Adam spends his time rock climbing, kayaking, snowboarding, and pickin’ on the mandolin. Adam lives in Brooklyn, NY and holds a Bachelor of Fine Arts in Acting from the University of North Carolina Greensboro. (SAG-AFTRA) THEATRE: The Philadelphia Shakespeare Theatre: Macbeth school tour (Porter/Duncan), Hamlet school tour (Claudius), Macbeth (Macduff), Twelfth Night (Sir Toby Belch), The Taming of the Shrew (Tranio); Shakespeare Theatre Company: King Lear (Curan & Knight); Henry V (Bates & Grey); Much Ado About Nothing (Don Pedro). Washington National Opera/Kennedy Center: Don Giovanni. FILM: King Lear as Duke of Cornwall. STUNT/FIGHT CHOREOGRAPHER: King Lear film. A Comedy of Errors. TEACHING: Adjunct professor of acting and stage combat at Stevenson University. TRAINING: MFA from George Washington University’s Academy for Classical Acting. BFA from UCLA in Acting. *Tickets purchased online and over the phone will incur a small convenience fee. All ticket sales are final – there are NO refunds or exchanges. The performance begins at 7pm and runs approximately 90 minutes. Following the performance, patrons can participate in a talkback discussion with the actors and director, Carmen Khan. Please note: There is no late seating policy. Give yourself plenty of time to park and walk to The Free Library of Philadelphia. Metered street parking is available, as well as nearby garages and lots. Please arrive 30 minutes prior to curtain to ensure you have enough time to get to your seat. No Late Seating will be permitted. Please take into account heavy traffic in the city when planning your evening.